Sullivan’s bar, a long-time St. Patrick’s Day tradition, has served the midtown community since 1954, and the current owner is planning to continue that trend in a new location across the street. Owner Dan Houlihan has managed the establishment since 2001 when the chance presented itself. Houlihan had been working his way up in bars and restaurants for years before that. “I thrive on the high energy, fast-paced nature of the job as well as the social aspect,” he said. After taking over, Houlihan transformed Sullivan’s into a popular Midtown hangout and it has been that way ever since. The neighborhood is now home to many young thriving businesses, such as Black Squirrel Tattoo, Icon Studio for Hair and Oxide Design. Houlihan says one business, however, never fit well into the neighborhood. A bar located directly across the street from Sullivan’s was notorious for bringing violence and other problems to the area. After a lengthy battle with that establishment, it was closed and Houlihan purchased the property. “I’m looking forward to owning the building and not just renting it. The 40th and Farnam area is about to expand so that solidified my decision,” Houlihan said. How does Houlihan juggle the current bar while working on relocation? He greatly praises and respects his staff. Houlihan says there’s no way he could do this without them. “It’s bittersweet leaving this location because it’s been here for decades. However, the area is changing, and we’re trying to embrace that change,” Houlihan said. A group of young investors decided to redo the area. Houlihan said urban densification is a growing theme in America. People are waiting to get married and not having babies as young. It would appear Omaha’s eastern half will continue to grow and change over the years. Houlihan said both he and the investors expect the area to be radically different even a year from now. The new Sullivan’s should open by late summer, according to Houlihan. The bar hasn’t suffered any extremes from the tough economy. Houlihan insists any good establishment can weather the storm; however, there have been challenges. They include new DUI laws and adapting to the smoking ban. 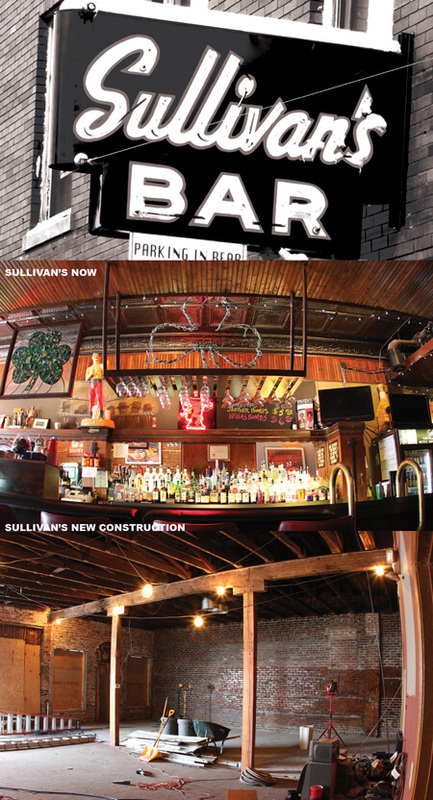 Sullivan’s is, no doubt, an Irish bar, and St. Patrick’s Day will be thoroughly celebrated there. The bar opens at 6 a.m. with drink specials all day. Expect free corn beef sandwiches by noon and a secret family recipe for Irish soda bread. Houlihan said drink prices definitely won’t be raised and festive activities like face painting will also be available. Sullivan’s is on the right track as it looks to the future. Sullivan’s is currently located at 3926 Farnam St. Stop by on St. Patrick’s Day for some true Irish fun.